Bali has long been a mecca for tourists, but the mass crowds have also driven mass development, and now locals are saying it’s gone too far. 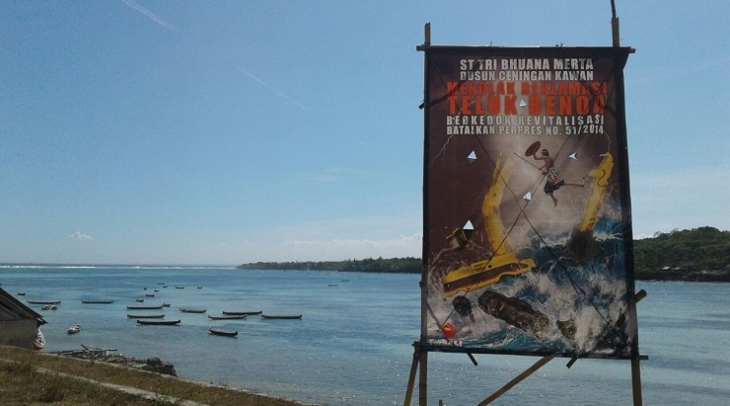 This is at the heart of the fight over Benoa Bay – a Balinese-led backlash utilizing art and music to stop the most ambitious tourism development project the island has ever seen. 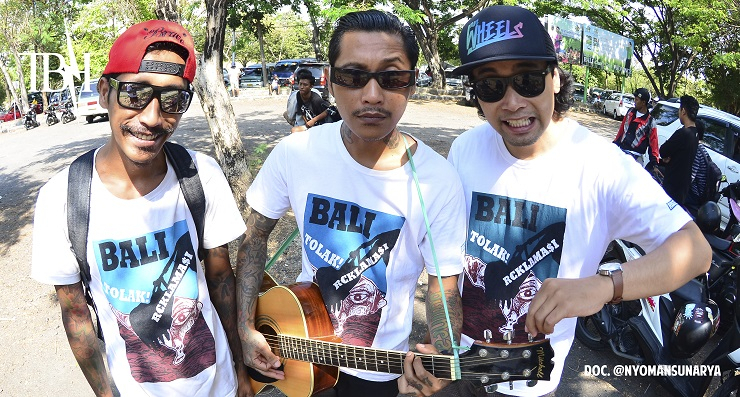 Bali’s music scene hasn’t always been so political. But news that a Dubai-style development will be built on what was once – before the plans were approved a conservation area – has galvanized the island’s musicians and artists in a new way. 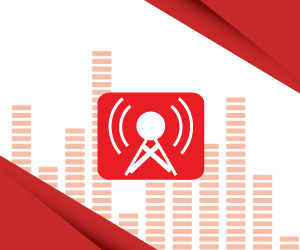 This song by Nosstress was inspired by the tolak reklamasi, or the ‘reject reclamation’ movement. 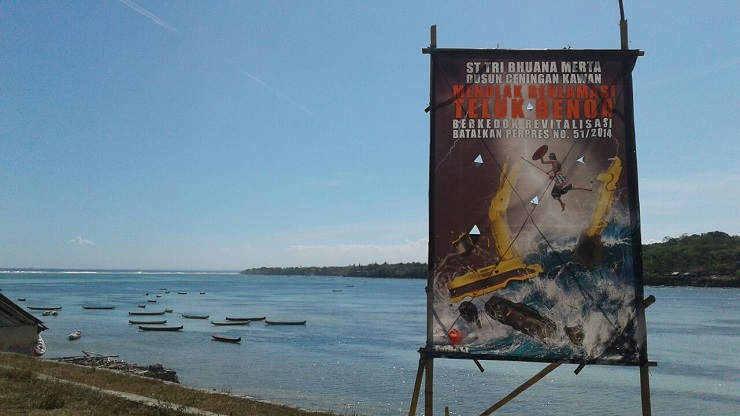 If the project goes ahead, 700 hectares of Benoa Bay in Bali’s south will be reclaimed to make way for a string of artificial islands complete with resorts, shopping centres, theme parks, and high-end apartments. Copok, vocalist and guitarist for the Bali band Bulhead, says it will be something of an abomination. “They will put culture on the island, but it will be a plastic culture. We have real culture. It is buildings and people. They have artificial culture. They claim that all of Bali is there, like Indonesia Miniature Park, or Walt Disney,” Copok says. Since the project was first approved by the Indonesian government in December 2012, a mass movement has been gathering steam. Demonstrations take over the streets on a regular basis, music concerts and art events are organized around the campaign, and now communities across the island are compiling an album of protest songs sung by local children. Copok says it’s crucial people understand what the development means. “This movement is purely to save your home. The developer promises heaven, but the surroundings will be destroyed, and they will make hell all around it,” Copok explains. To find out more, I’ve come to Taman Baca, a permaculture garden, library and café away from the hustle and bustle, and also a favorite haunt of the guys behind the Tolak Reklamasi movement. That’s Adi Apriyanta Parma, a Balinese student and activist. He and many others are imagining a different future for Bali – one where rampant overdevelopment can’t go on forever. Ketut Putra, the vice president of Conservation International in Indonesia, explains what many on the island would like to see. “We as Balinese we don’t reject development, we love development. But we need to design the development that we want, to minimize or even have no impact at all on our environment, on our culture,” Putra claims. The developer behind the project is Tirta Wahana Bali International (TWBI), which is controlled by influential Indonesian businessman, Tommy Winata. The company has promised the project will be environmentally responsible and culturally sensitive in an area with at least 70 sacred Hindu sites. But the environmental impacts of building artificial islands, says Putra, will be devastating. “From the perspective of, for example, fisheries, the reclamation may potentially reduce or even fully alter the entire coastal habitats for 80% of marine species we have in Bali. Because they use this, Benoa Bay as the nursery or reproduction cycle [site] for those species,” explains Putra. 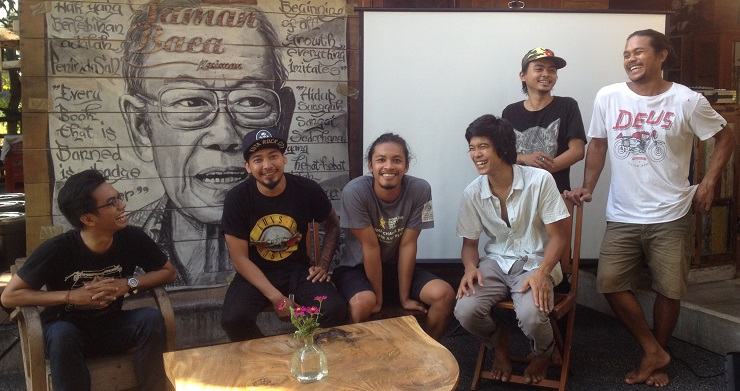 Since the Tolak Reklamasi movement gained traction, musicians like Sony Bono, from the band Nymphea have been warned by police not to mention the project at their gigs. There’s been other instances too, of authorities trying to control the message – of discussions of the development banned at an international event, and of peaceful demonstrators beaten. 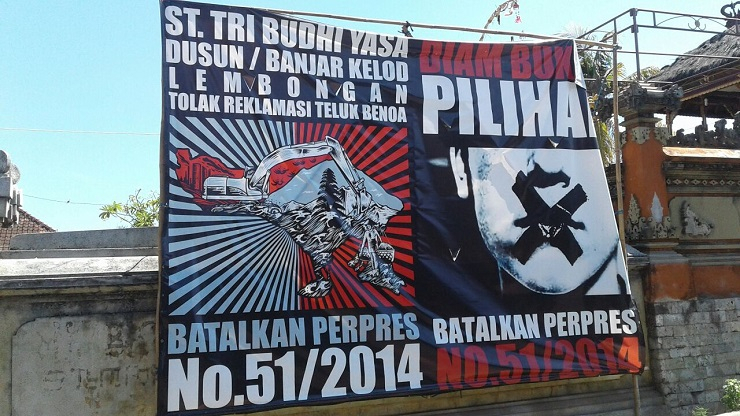 But Sony Bono refuses to be intimated, despite what he says is an overwhelming culture of silence in Bali. “We call it, koh ngomong. In Balinese language koh ngomong. In English language, ‘I don’t want to talk about it.’ It’s become our habit. So with us musicians, we try to break that habit. So maybe if we use our language, music, through music we can break that habit,” Bono says. The protest has largely fallen on the shoulders of Bali’s youth, with older Balinese initially reluctant to speak out. An estimated 80,000 Balinese were killed in the communist massacres of 1965-66, and those events still loom in living memory. Adi explains. “And also we have ‘65 history that makes old people silent with the government, don’t want to fight against the government. Everything the government says, the old people only say, yes and ok, yes, and ok. They are afraid history will repeat again. The young people try to fight against that, you know,” Adi says. Despite that, a long-awaited change came earlier this year, when many of the older generation added their weight to the campaign. Entire villages are now also getting on board. As the campaign enters its fourth year, Balinese are pressuring the Indonesian president to step in and put a stop to the project. If the Environmental Impact Assessment – now under review – is accepted, construction will be given the final green light. Most agree this is a make or break year for Bali’s future.